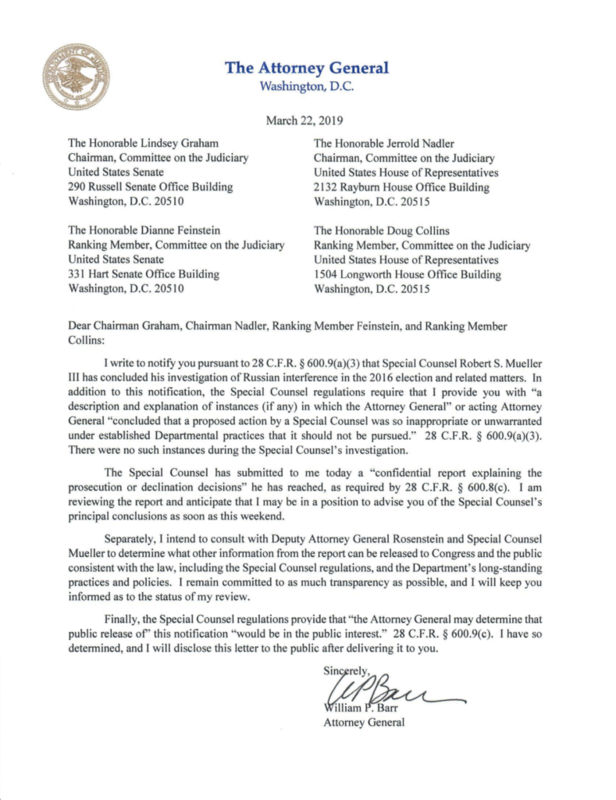 Attorney General William Barr confirmed in a letter to Congress that he received special counsel Robert Mueller’s final report about Russian interference into the 2016 presidential election and possible collusion with President Donald Trump’s campaign. Barr, who will decide how to disclose the report to the public, wrote in a letter dated March 22 that Mueller submitted his report to the Justice Department on Friday. The report explained “the prosecution or declination decisions” he has reached. 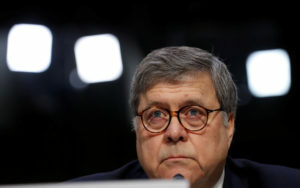 Barr said he plans on reviewing the report and said that he could advise congressional lawmakers on its “principal conclusions” as early as this weekend.